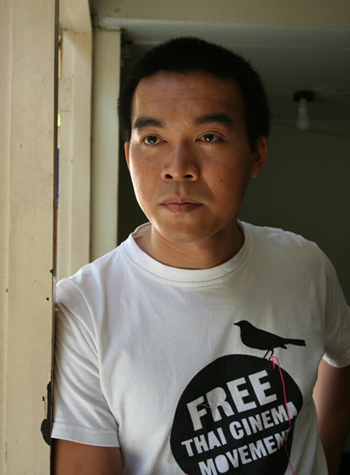 Born in 1977 to a farming family in the district of Terng – 60 kilometres from Chiang Rai, northern part of Thailand, Uruphong Raksasad came to Bangkok for the first time when he was 18 to further his study at Thammasat University’s Faculty of Journalism and Mass Communications, where he majored in film and photography. After graduation in 2000, he had worked as a film editor and post-production supervisor for several Thai feature films. Since 2004, he left quietly from the industry and has tried to achieve his grassroots filmmaking through the story from his home village.